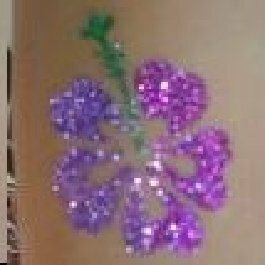 Glitter tattoos are popular with boys and girls. 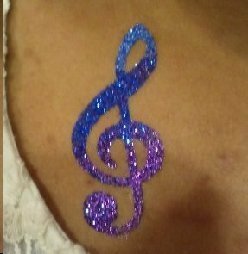 We provide a professional glitter tattoo artist that is guaranteed to make your event a success! 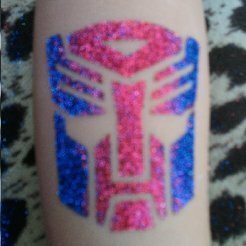 Glitter tattoos are fast to apply allowing us to move through 25-35 guests per hour. 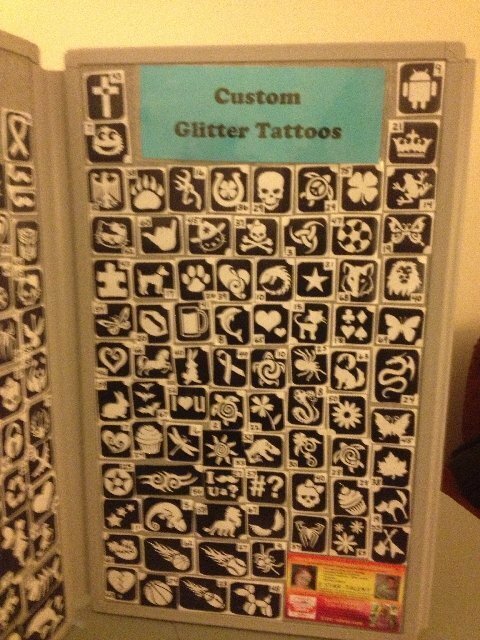 very sparkly. 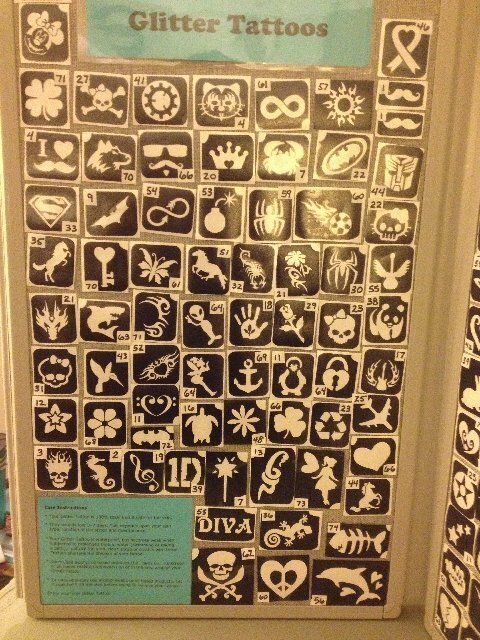 They usually last between 3 - 5 days, but can be easily removed before that. Requirements: Shaded area with table and chair.